Hedgehog House is a summer cottage to be built on sloping farm land in south-western Pennsylvania. The region is spotted with aging timber barns that are remnants of dozens of deserted farms. In lieu of their intended function, the barns have become picturesque follies hidden amidst the winding country roads and mountainous terrain of the area. This project exploits the picturesque nature of the region’s barn structures by borrowing the typical building type and distorting it through a series of optical manipulations. 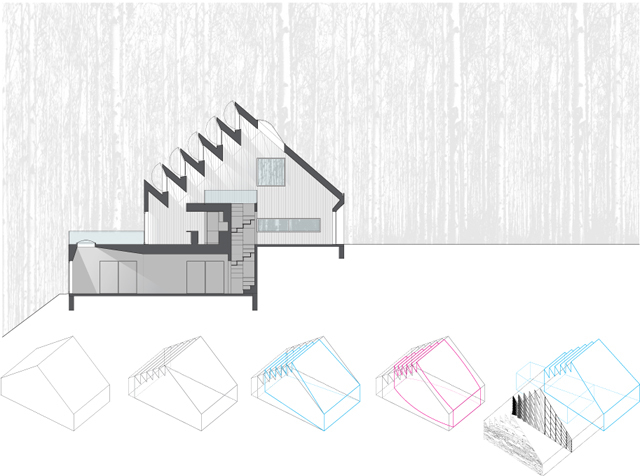 First, a series of cascading clerestory windows is introduced to the western side of the house, framing the setting sun and creating a stack effect that naturally cools the building’s interior. 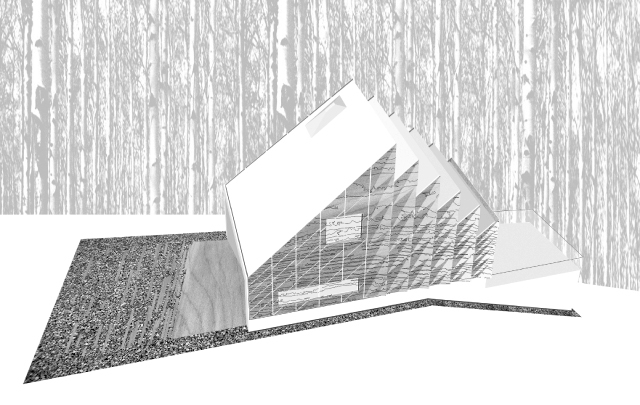 Next, the typical shed-roof shape of the barn is pinched to force the perspective in one direction. Finally, the angle of the roof profile is used as geometric context for rainscreen walls on the north and south elevations, CNC cut from marine-grade plywood with a wood-grain pattern etched on to the surface. 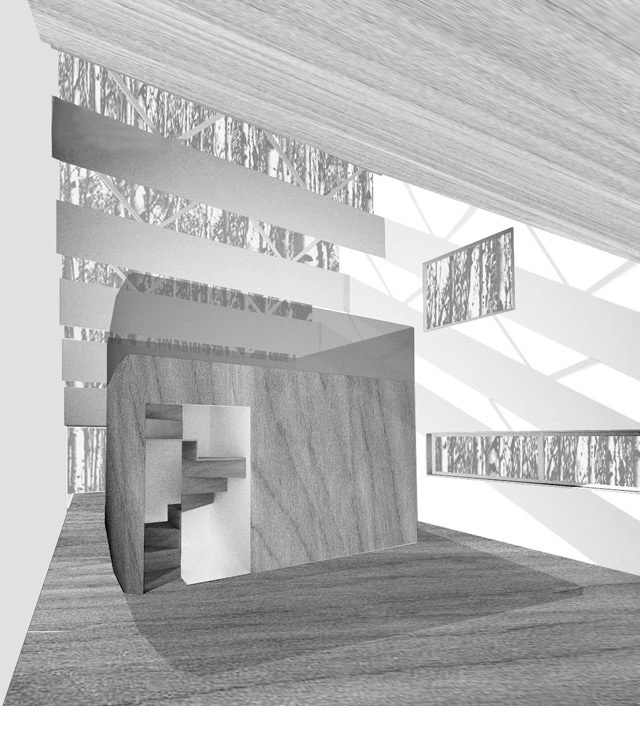 The walls juxtapose graphic and actual wood grains; again distort the reading of Cartesian perspective through the frequency of the tiling pattern; and manipulate atmospheric perspective through the reflection of light . 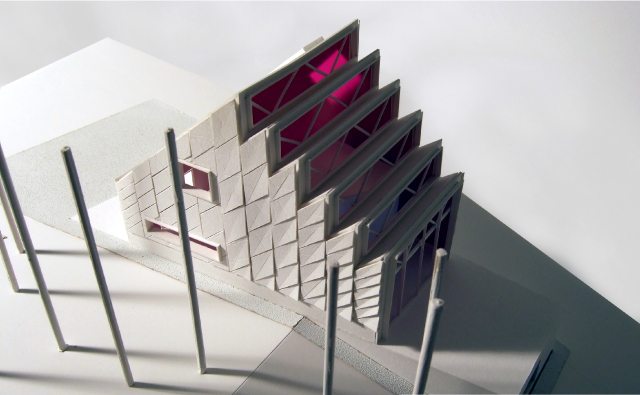 The rainscreen wall is also designed to resist solar heat-gain from the south. 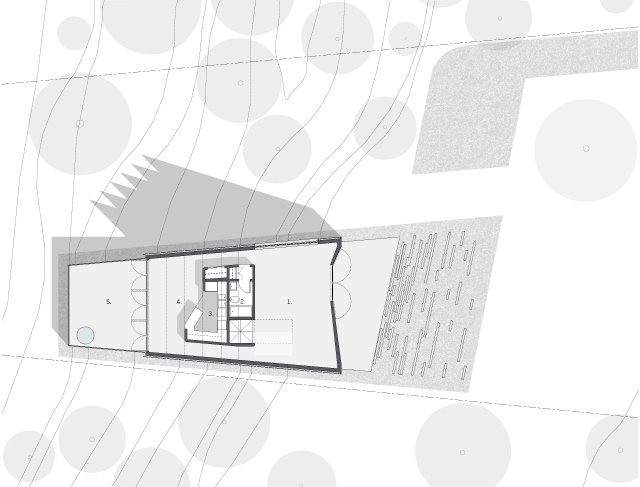 The simple interior of the structure organizes framedviews of the surrounding landscape and a lake to the west of the house.